A. E. Poynor was born in Michigan, and grew up moving around the country. He first dragged his wife and daughter to Alaska in 1976 for the last three years of the seven he served in the army. During those three years, the family grew to four, with the addition of a son, and Alaska got into his blood. Described as, "One of the dumbest things I could have done... aside from urinating on an electric fence," he left Alaska to attend school following his discharge. Five years passed before he and the family made it back to Alaska in 1984, settling in Kenai, where A.E. and his wife still live. Poynor's day job as a technical writer in the refining industry was balanced with a humor column he wrote for nineteen years. The column received three awards from the Alaska Press Club in the humor category, which is open to all forms of media. His writing has also appeared in several magazines. 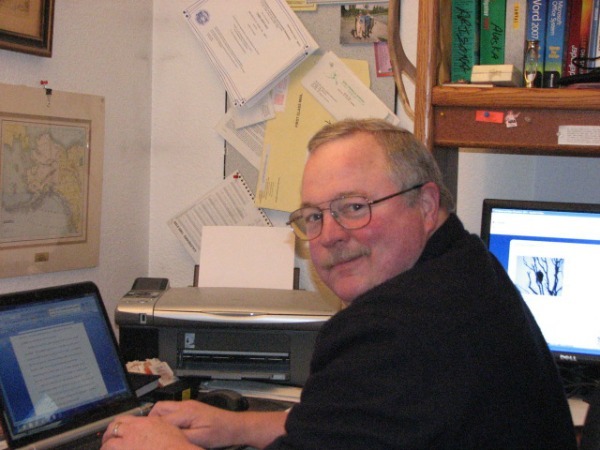 In late 2010 Poynor took early retirement from the refining industry to pursue a new career in freelance writing. When not writing, A.E. splits his time between recreational mining, fishing, shooting and other outdoor activities. On the same day John Barstow lost his girlfriend and his job, he got a letter from a lawyer in Anchorage, Alaska, summoning him to that frozen place. The letter is intriguing, particularly when a check for two-thousand bucks falls out of it. Broke and out of work, John quickly decides he has nothing to lose by making the trip. In Anchorage, John learns that as Hank Grant’s only legal heir he must make a decision: sign onto an agreement to take over his uncle’s business, or walk away with a trailer house and twenty-five grand. Born and raised in Los Angeles, John is sure a trailer house in Nikiski, Alaska, is no temptation. The business? Well, it’s also out of a city boy’s comfort zone. Last Chance Adventures is a pay-to-mine tourist operation on the west side of the Cook Inlet; fly in only, as remote as it gets. There’s a catch, however. If John can’t make Last Chance Adventures show a profit in one season, it goes to a secondary, unnamed beneficiary. But hey, he’ll still get the trailer house! Fortunately, there’s good news. John’s uncle had an assistant, Harley Pepperdine, who is knowledgeable, helpful and reliable – when he’s sober. His uncle also had plenty of other helpful friends – all of them quirky Alaskan characters shaped by the country John will have to survive. And too, there’s a woman, Maggie Peters, who is smart, attractive and friendly – whenever she’s not pissed at Harley and John. This is the first volume in a series of collected humor columns written by award-winning author A. E. Poynor. For less than twenty percent of what you paid for that grande maple-choco-frappa-machacino latte you'll spew out your nose while reading this book, you can learn about an aspect of Alaska most people never think about: everyday life in Alaska. 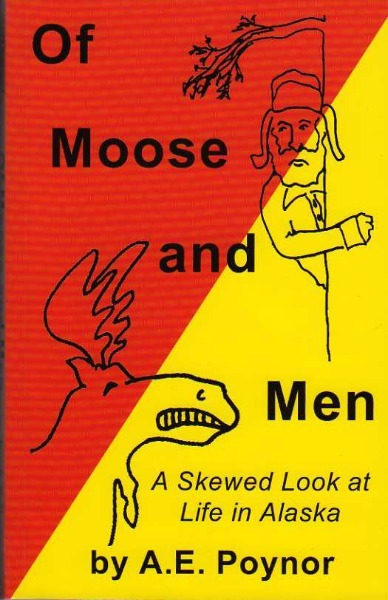 Of Moose and Men: A Skewed Look at Life in Alaska provides a unique insight into the Land of the Midnight Sun, where laughing about the trials unique to the country is better than giving up. 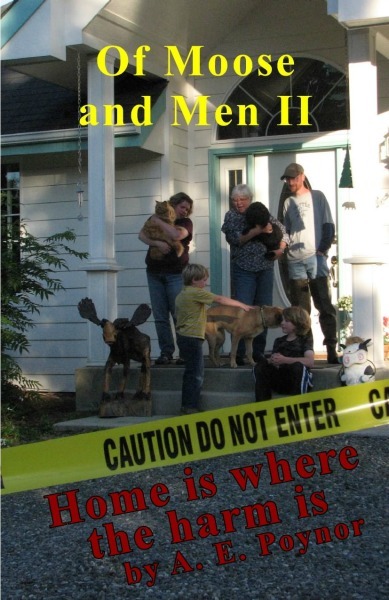 This collection of humor columns from the award-winning author is the second volume in the Of Moose and Men series. This volume takes a look at all those little things that go into making a house, a home. From doing battle with home maintenance and improvements, to exploring the various family relationships, to pets, Poynor takes humorous aim at what goes into making a home. The pieces contained in Home is Where the Harm Is span the nineteen years of Poynor's column. Although set in Alaska, the situations in the book could apply to almost any locale. As he says in the Foreword, "It's always preferable to learn from someone else's mistakes." In honor of those to whom the book is dedicated, twenty-five percent of all royalties received will be donated for cancer research.